Academy Award-nominated filmmaker M. Night Shyamalan began shooting footage for his new movie Thursday at a quarry in West Rockhill. And like the Montgomery County director’s suspenseful films, there is much mystery about the happenings on set at M&M Stone Co.
“I know it’s only a movie, but it’s pretty top secret stuff,” a security guard said when asked if a glimpse of the set would be possible. 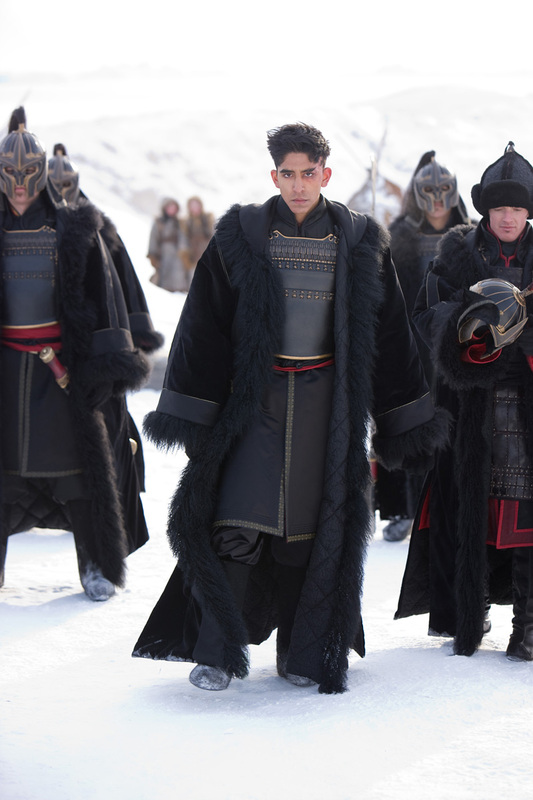 While access was denied, word is Shyamalan’s team has spent months constructing an elaborate fantasy world that’s to serve as the backdrop for “The Last Airbender,” an adaptation of Nickelodeon’s hit animated series. A village, a fortress and a castle-like compound are among the large-scale constructions said to be built at the quarry, where security guards and police are stationed to keep trespassers out. Full-grown trees were also brought in and planted to help create the Asian-influenced realm where the movie takes place. 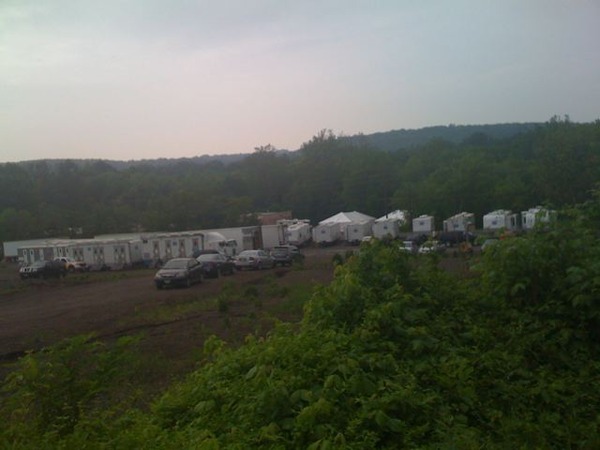 Movie trailers and trucks were parked in a roadside lot late Friday afternoon. Props, including primitive-looking twig constructions and earthenware, were lying around. Headset-wearing crew members were seen walking along the tree-shaded quarry roadway. Shyamalan is expected to film on location for several weeks. Scenes at the quarry could feature in as much as 25 to 30 minutes of the actual movie, Zdon said. Mysterious town for mysterious children I guess. Frank Marshall, the Twitter happy producer of The Last Airbender posted this tidbit up today. Remember only 27 days away from Transformers 2, and The Last Airbender teaser trailer! A photo was sent in today from the set to AICN by a spy. Mysterious, huh? Click to enlarge. Meet Avatar Aang and Prince Zuko! We have our first official look at The Last Airbender courtesy of USA Today. 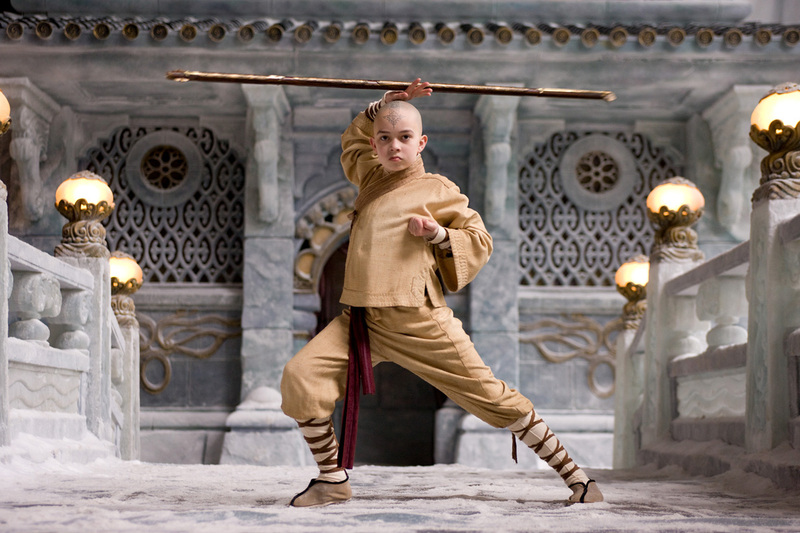 Meet Noah Ringer, the 12-year-old unknown chosen by M. Night Shyamalan to take on the role of Aang in the live action adaptation of Avatar: The Last Airbender. For years he had gone by the nickname “Avatar” given his resemblance to the titular character, and it’s obvious he was destined to play the role. He even kept his head shaved before landing the role in the film. It keeps me cool when I’m doing tae kwon do. 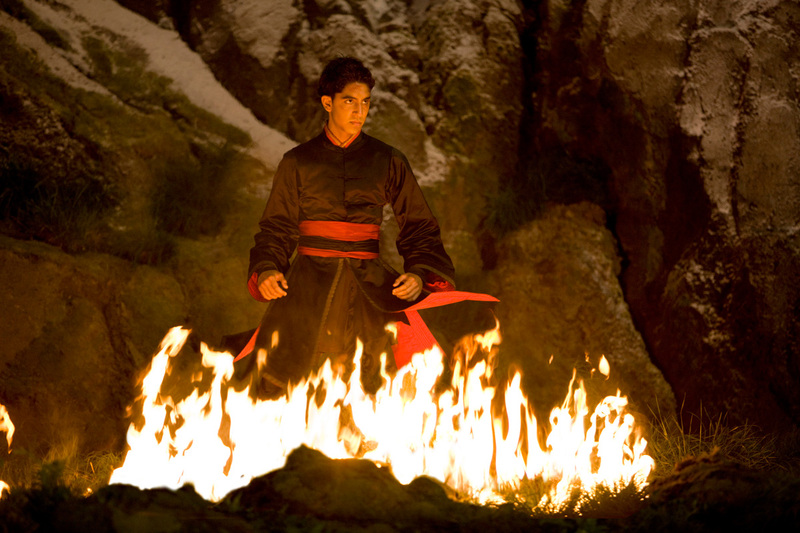 Starring opposite of Ringer is Dev Patel as the evil Prince Zuko. Patel has no doubt in his mind what the outcome would be in an actual real life brawl between the two. Noah would knock me flat on my back. The battle to restore balance to the planet begins July 2, 2010! First Look at Aang and Zuko Soon! Principal photography on The Last Airbender has reached the halfway point, reportedly two full days ahead of schedule! If the production maintains this pace, filming could wrap by as early as June 30th. You are currently browsing the Last Airbender Film | Avatar: The Legend of Korra News, and Media Fan Blog blog archives for May, 2009.